It seems only natural that traders and even industry outsiders admire those high-profile, hedge fund and institutional traders, who can have millions of dollars (or more) on the line with just the swoop of a finger. And likewise, who doesn’t think about what days would be like as a grizzled floor trader, each day battling against the competition amidst the chaos of the trading pits at a major exchange? It’s simple, really. 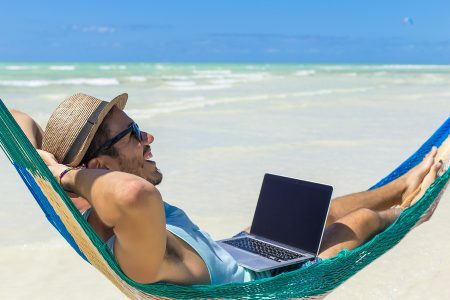 The lifestyle trader enjoys more freedom and flexibility, and far less stress than their intraday trading counterparts, all without sacrificing profitability. So despite the allure and grandeur that may come with trading intraday, the personal and family benefits enjoyed exclusively by the lifestyle trader set lifestyle trading apart from any other trading style. Trading higher time frames: Trading on higher time frames like the daily and weekly charts helps “smooth out” the effects of short-term volatility, enabling the lifestyle trader to readily capitalize on the same high-probability, trend-based set-ups that appear more briefly on intraday time frames. By their very nature, higher time frames exhibit clearer trends and (often) more prominent support and resistance levels, both of which support the ongoing efforts of the lifestyle trader. Defined markets and trade signals: Intraday traders tend to be infamous for jumping from one market to another in some sort of frantic search for one or more patterns and/or trade signals, any of which would require swift and decisive action the instant they occur. The lifestyle trader, on the other hand, is considerably less reactive, and instead goes into each trade session much more certain about the set-ups and technical price action they’re looking for from the market(s) in question. As a result, the lifestyle trader will often trade fewer markets and only look for distinctive trade signals—only one or a couple—that work best for them. If there were an easier way to trade the markets, one that required less time and energy, a smaller time commitment, and that wouldn’t sacrifice performance results, why wouldn’t you opt for that instead? I’ll be the first to tell you that trading can be a life-changing endeavour. The key to success, though, is to get on a profitable and sustainable path as early in your career as possible. So don’t waste precious months or even years toiling away amidst the pressures and demands of intraday trading! Instead, go the way of the lifestyle trader, and discover the fulfilment, flexibility, and fun and that comes with trading the markets efficiently and in only a fraction of the time. FX Lifestyle – 3 Reasons to Join The Lifestyle Trader Revolution What follows are three distinct reasons why traders can—and maybe should—embrace the lifestyle trader revolution as a smarter and more sustainable way to trade the markets over the long term. 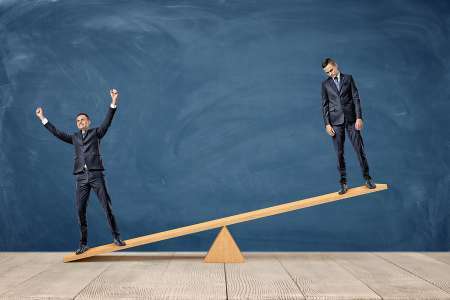 6 Ways to Create More Balance between Trading and Life It's often difficult for part-time traders to find proper balance between say, trading and work, or between trading and life. Maybe this is even something you tend to struggle with yourself?